This museum is fun and has a lot of attractions to see with some interactive exhibits. While some of the exhibits are a little dated, they are constructing a new facility, scheduled to open in 2015. Overall it's a great place for a family visit or for adults interested in science & nature. The Miami Science Museum and Planetarium is a wonderful attraction for visitors of all ages, but especially for kids. The museum was started in 1950, but it was called The Junior Museum of Miami. The museum started at a different location, but moved to its current place in 1960. The addition of the planetarium was completed in 1966. 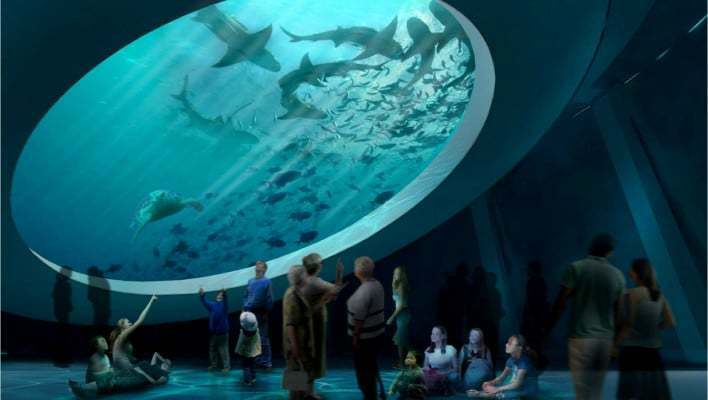 Since then, it has expanded and offers not only the exhibits and planetarium, but also a wildlife center. There are both temporary and permanent exhibits available to view. Currently on exhibit is the Cabaret Mechanical Theatre. This temporary exhibit will be at the museum until September 6th, 2010 and features art-like sculptures that have the ability to move. Different gears, pulleys, and cranks make the movement possible. Museum visitors can operate some of these automata, as they are called. This exhibit is light-hearted and fun, but still teaches important scientific lessons. To burn off energy and learn about capturing energy, visitors can try the Energy Dance Floor. This is one of the museums permanent exhibits and is great for kids and adults alike. As visitors dance on the floor, the energy is captured and converted into electricity. The planetarium offers laser shows and houses two large telescopes. The wildlife center has a rehabilitation program for birds of prey, some of which are rare species to Florida. The Museum of Science and Planetarium also hosts two special days for reptile lovers, Lizard Day and Snake Day. On these days, reptile owners show off their pets and compete for different prizes. The price of admission is $14.95 for adults, and $10.95 for seniors, children, and students with identification. Dade county residents are offered a discount and all kids under 3 get free admission. Admission prices include all of the exhibits, planetarium shows, and the wildlife center. They are open daily from 10:00 AM to 6:00 PM except for Thanksgiving and Christmas. With all of the interesting and innovative things to do and see, visiting the Museum of Science and Planetarium is a wonderful way to spend the day with friends or family.